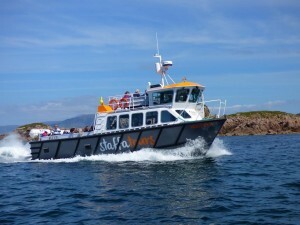 Boat-trips-and-tours from Fionnphort Pier, only 2 minutes from Seaview Bed and Breakfast on the Isle of Mull. Stay with us and explore the "Sea Kingdom." Firstly voyages to the Isle of Staffa and Fingal's Cave, Isle of Lunga, Treshnish Isles and Iona. Secondly two land based wildlife tours on the Isle of Mull handily located from Seaview. 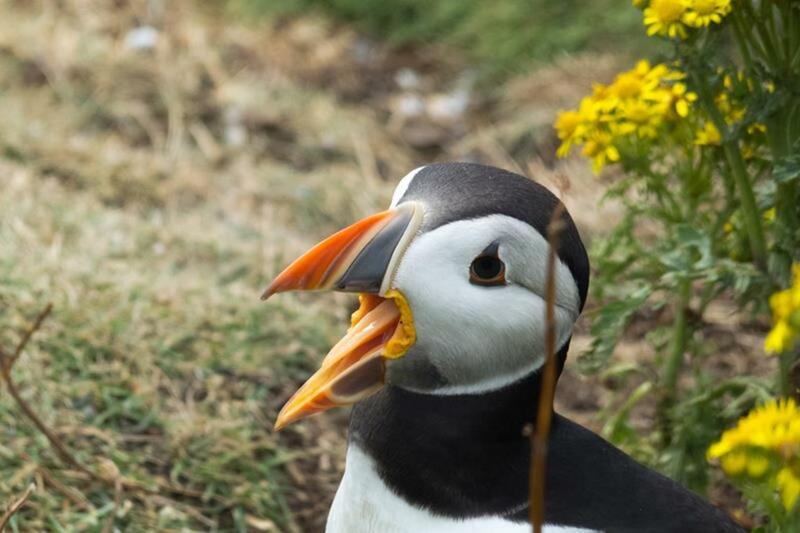 The trips- and- tours on land are ideal for wildlife and bird spotting. 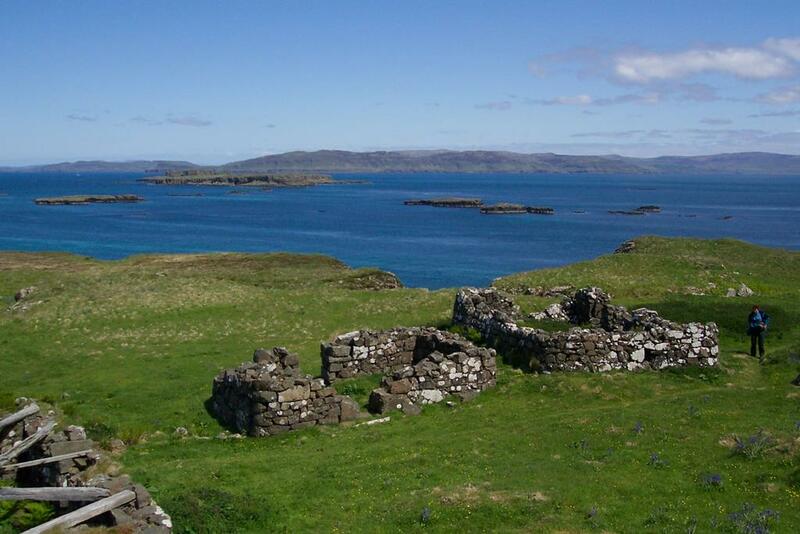 Consequently allowing you to relax and enjoy the tour through spectacular scenery of the remote Ross of Mull. 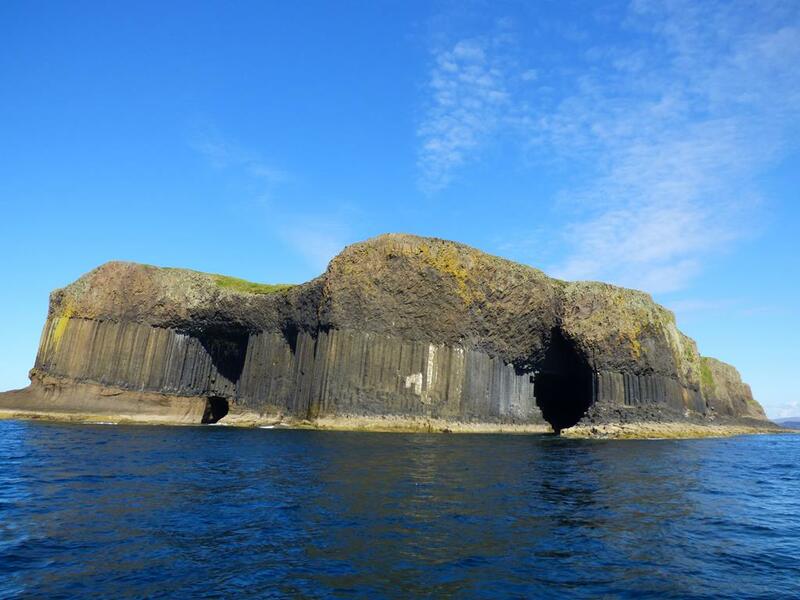 boat-trips-and-tours ,Treshnish and Staffa -boarding at Fionnphort, a geology, wildlife and historical adventure! 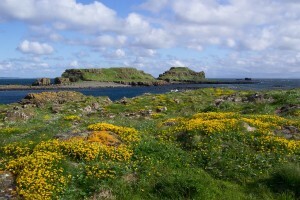 Treshnish Isles with their typical Hebridean Island scenery have been distinctive landmarks for sea travelers sailing around the western isles for thousands of years. 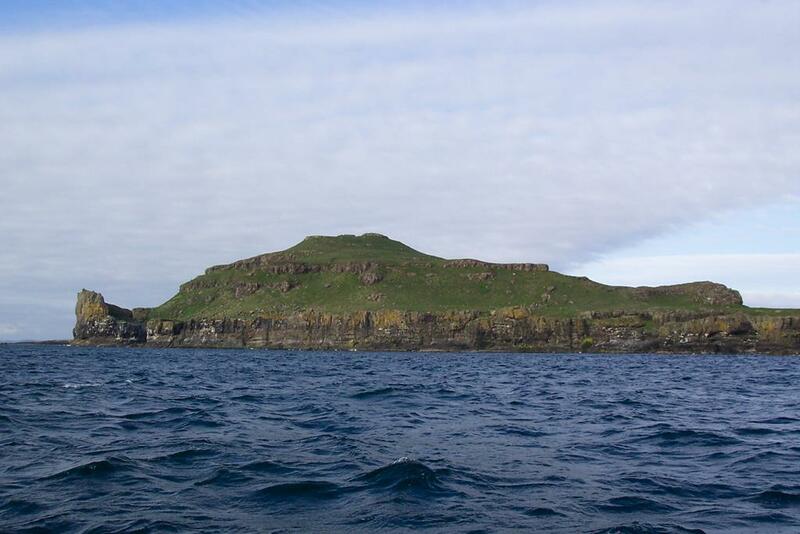 Names of the islands reflect the importance the area was to the invading Vikings who once ruled much of the western seaboard. 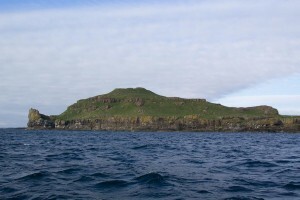 Eight main islands, the archipelago lies at its nearest , 3km west of mainland Isle of Mull and extends along a north east-south west axis of 12 km. 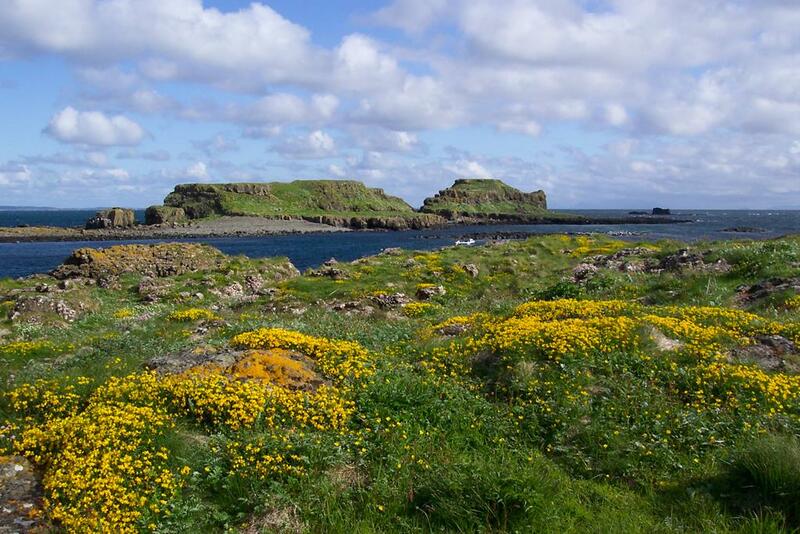 Spectacular habitat and scenery, abundant thriving wildlife and a historically important treasure of a medieval castle the Treshnish Isles read more are not to be missed! 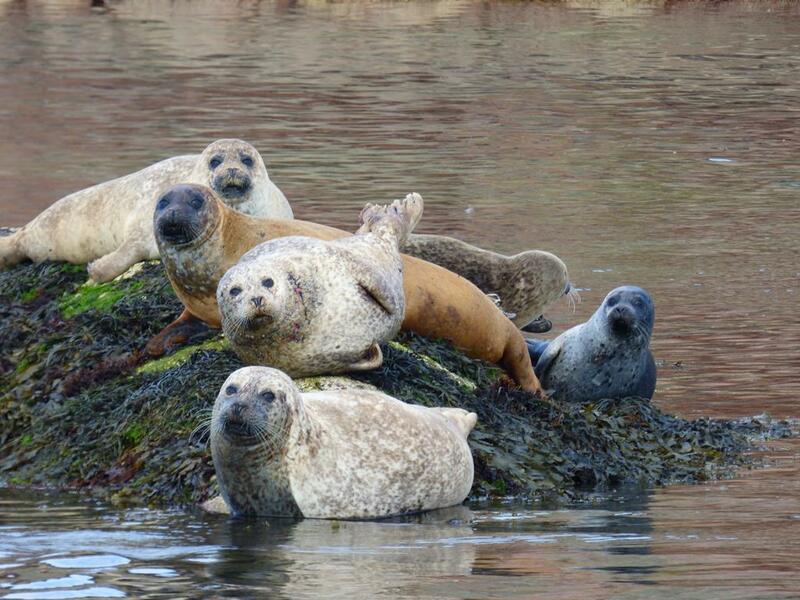 The isles are a Site of Special Scientific Interest because of the importance of being a major grey seal breeding site with over 900 to 1100 pups born every year. 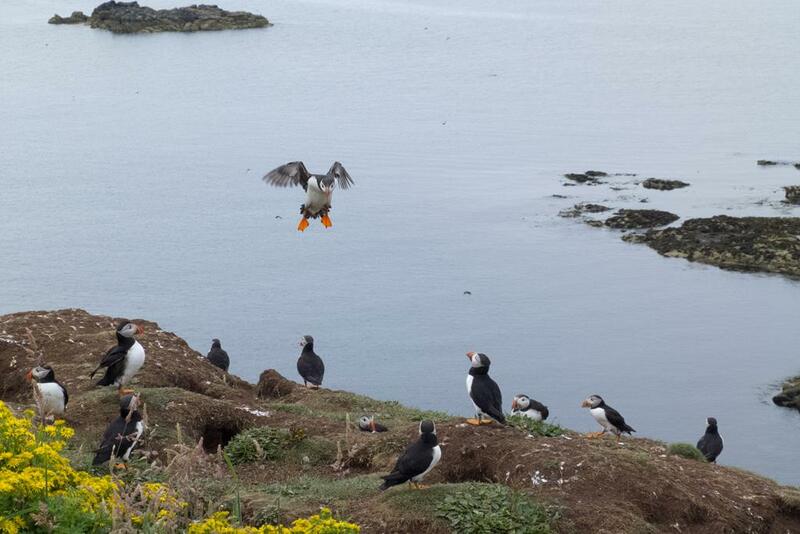 Puffins nest in large numbers on these islands and this funny little seabird which is brilliant at swimming and flying is really comic when it crash lands when landing on Terra firma! 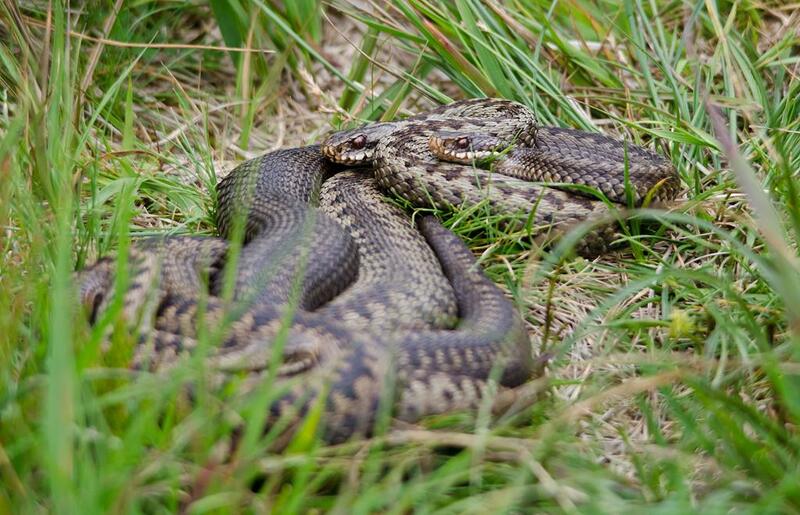 However it still manages to amaze by migrating thousands of miles and diving great depths to catch eels. 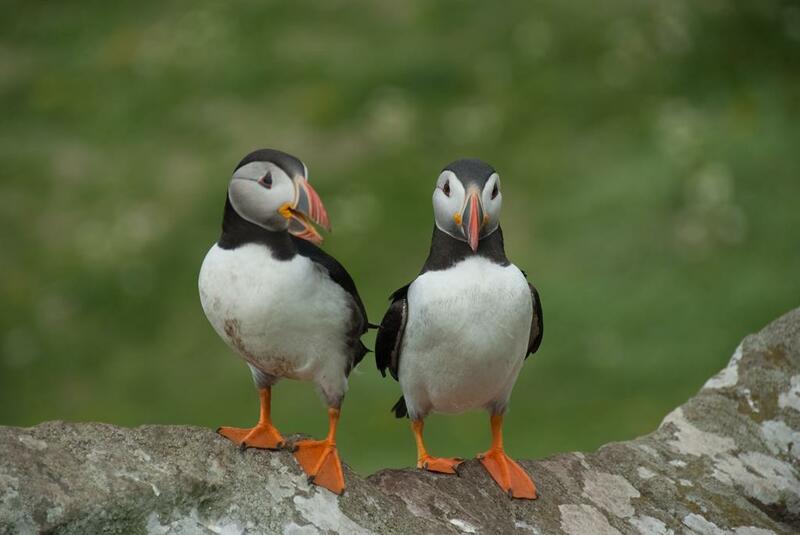 "Lunga" Island (Viking for "Longboat") is the best place in the Treshnish Isles to see Puffins and they come to nest there between mid April until the end of July. 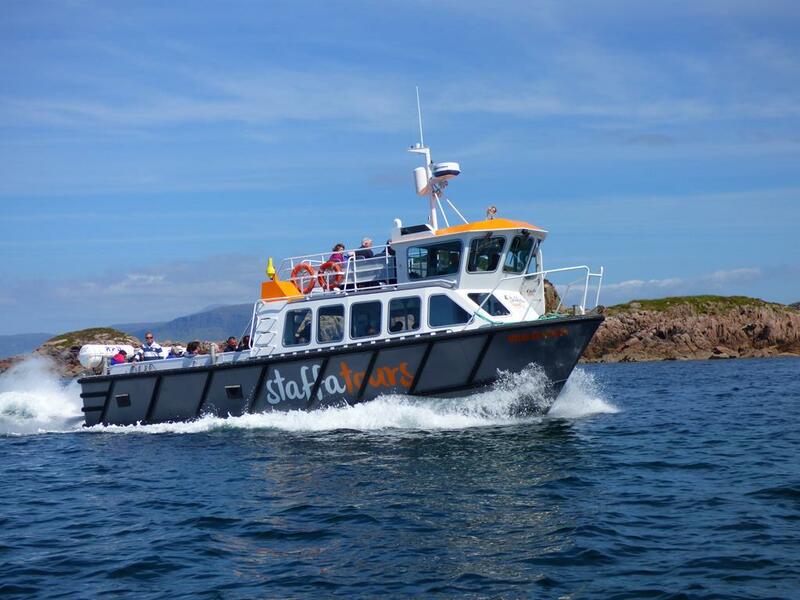 Sailing with Staffatours read more you can explore the islands in modern, fast, purpose built boats with a knowledgeable, sea experienced and friendly crew. Soak up the atmospheric Treshnish Isles and in particular Lunga with its superb seabird colonies on "Harp Rock" of guillimots, puffins, shags, storm petrels, skuas, Kittiwakes, great northern diver, gannets and razorbills. 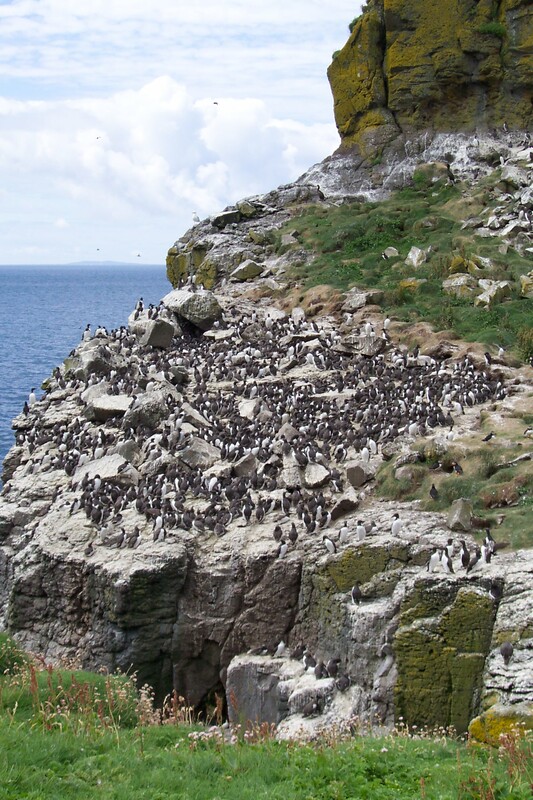 Harp Rock is the nesting site for some 7000 birds. 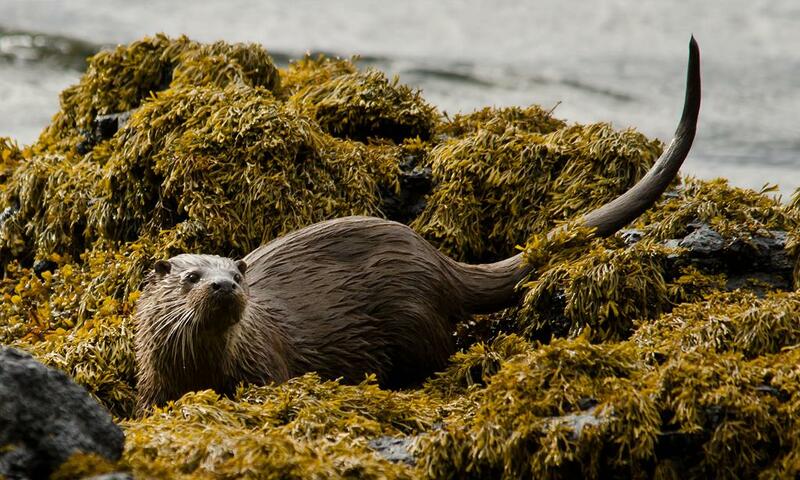 Seals wallow on the shoreline and otters occasionally pop their heads up in the picturesque bays. 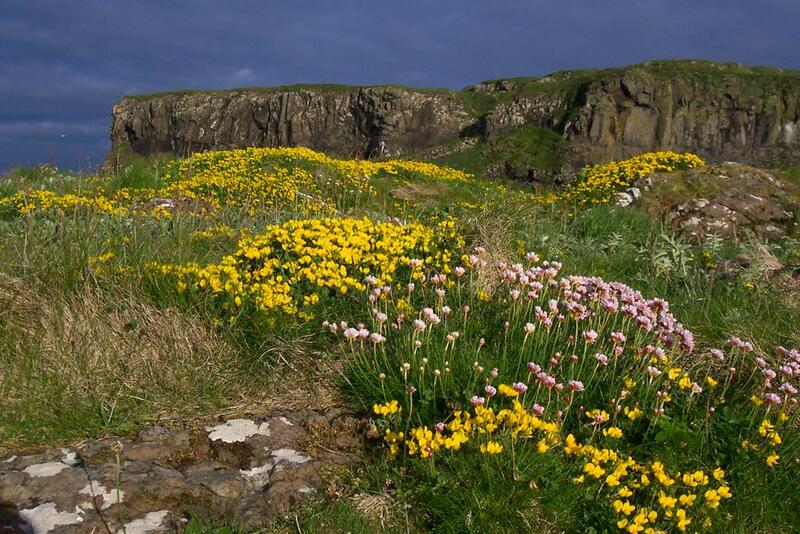 Marine flowers, some unusual, adorn the rocks and grassy slopes particularly in May and June providing vibrant colour. An occasional elusive corncrake can be seen. 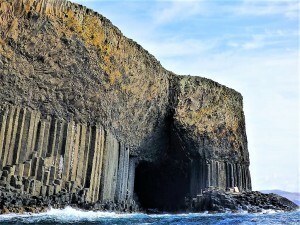 The voyage continues in the afternoon to the mighty Staffa and Fingal's Cave, a geological wonder! 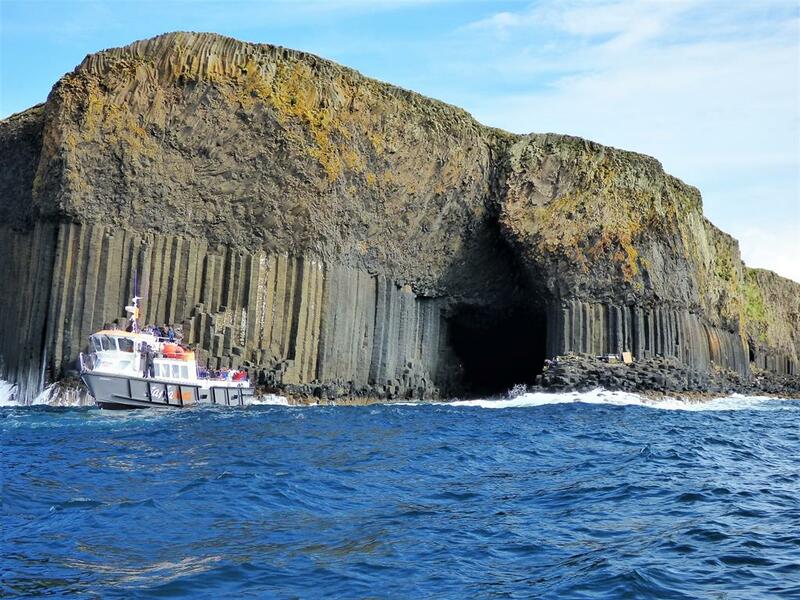 You can book online with Staffa Tours however John at Seaview recommends you book boat-trips-and-tours when you arrive at Seaview. John who has been booking these trips for years is happy to provide this service for you and will keep an eye on the weather for the best day to tour the islands. Consequently the advantage of this is, you can choose your day and be flexible with weather and other tours arranged. Also if the tour does not sail because of the weather you don't have the hassle of claiming your money back online! Please note Staffatours also do a excellent half day trip to Staffa only. 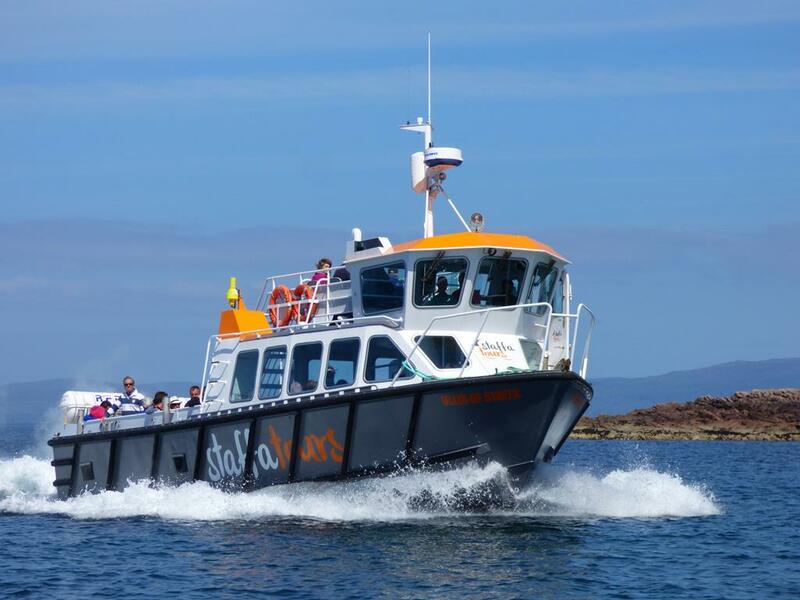 boat-trips-and-tours from Seaview B and B are 2 minutes walk to Fionnphort Pier where you board your boat for Staffatours. 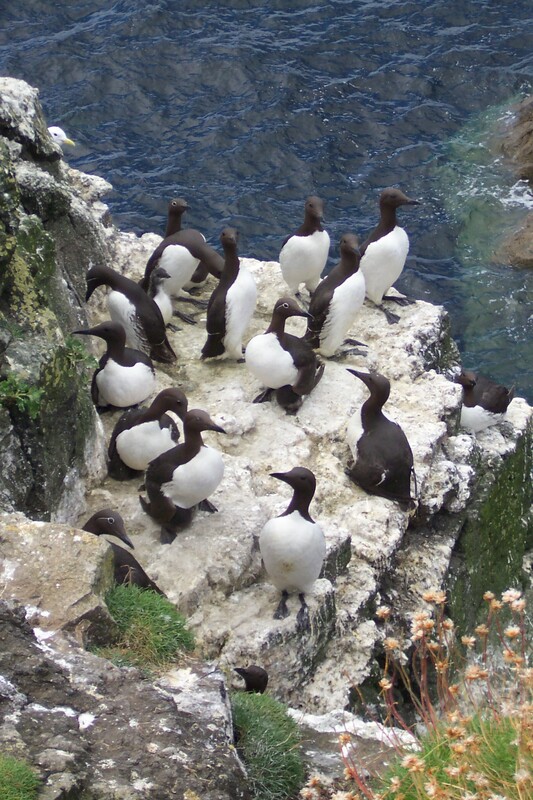 two hours ashore (weather permitting). 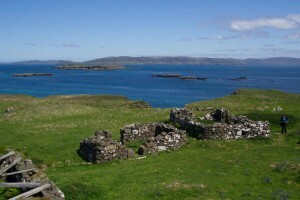 Inhabited until the 1850’s, Lunga still has a number of ruined crofters’ homes along with a large family of burrowing rabbits, some of them black! Perhaps the rabbits arrived with these early inhabitants! 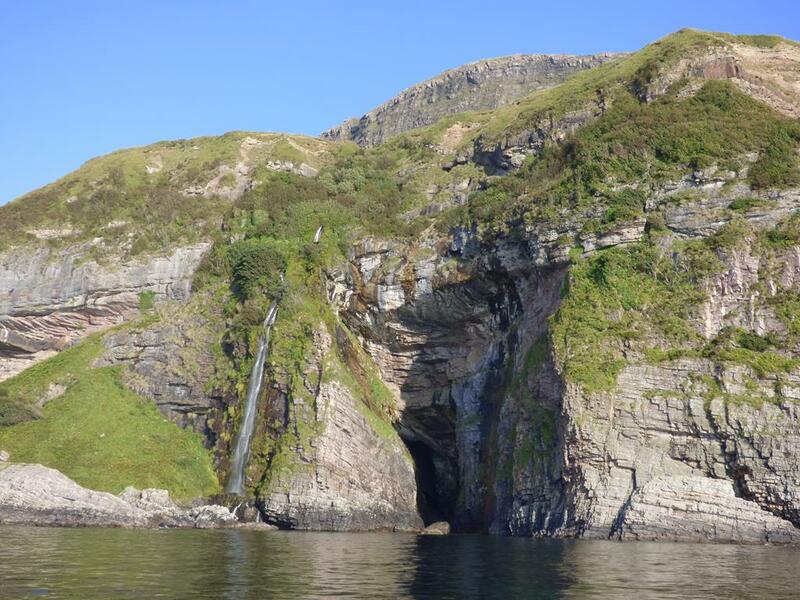 where you will also have the opportunity to view seals, dolphins, basking sharks and whales in their natural habitat around these islands. In June the flowers are amazing! 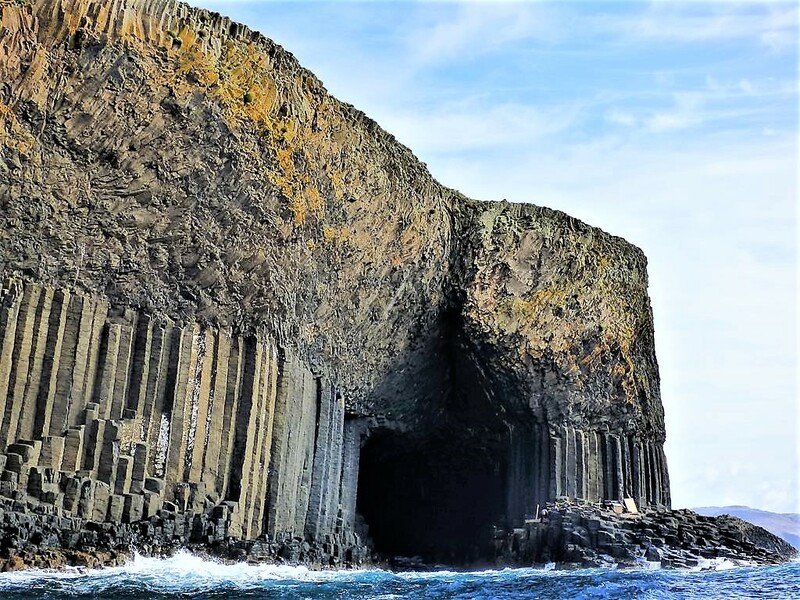 Trips to spectacular, columnar Staffa and the famous,natural wonder, Fingal's Cave,with well known west coast skipper Graham Tindal and his friendly crew. 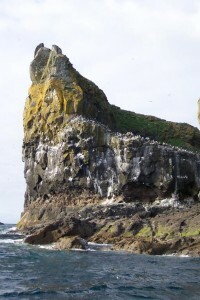 Travel on the Motor vessel Iolaire ( Gaelic bird with the sunlit eye - Eagle) with its famous west coast skipper Graham Tindal and crew offering an extremely personalized trip . 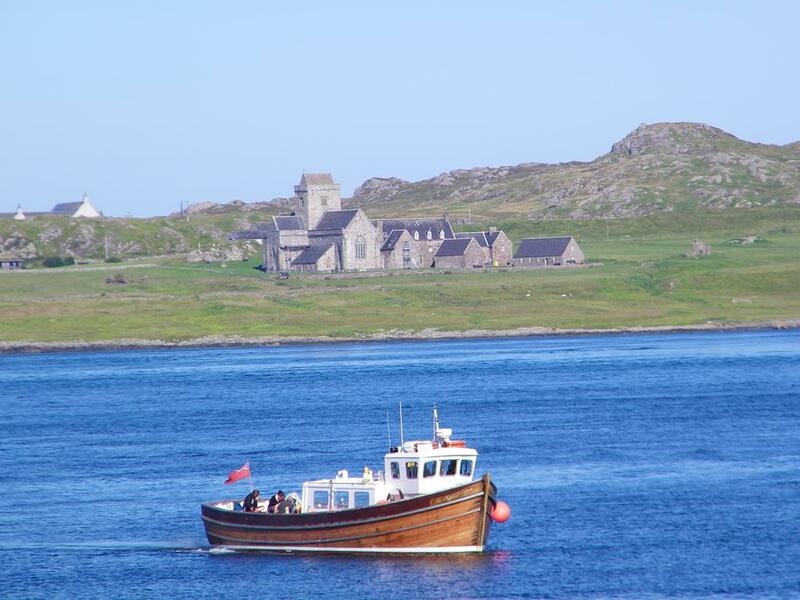 The trip lasts 3 hours and you can board and disembark at Iona and Fionnphort, Isle of Mull. 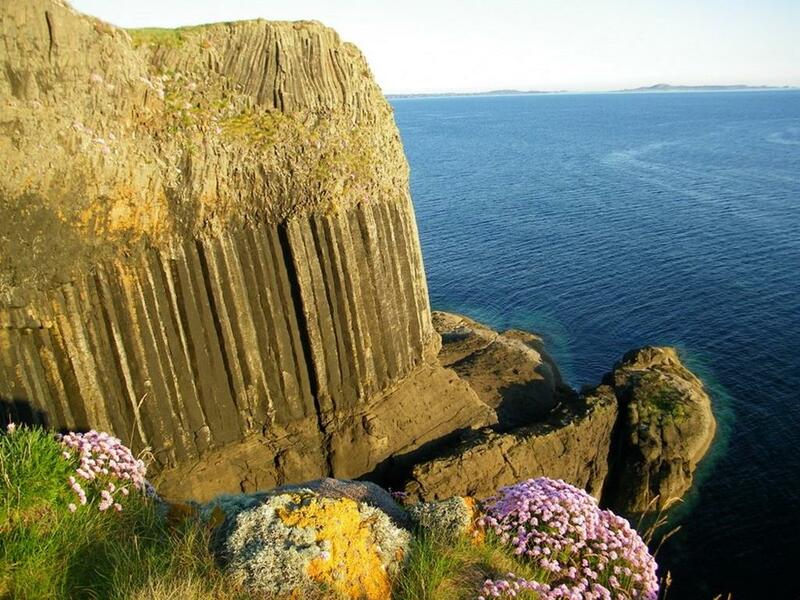 Seaview bed and breakfast is only 2 minutes away from Fionnphort Pier where you board the boat to Staffa. 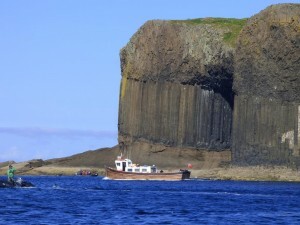 Trips leave for Staffa twice daily weather permitting with at least one hour ashore approximately 3 hours duration . There is a toilet aboard the vessel. The crew are experienced and offer good local knowledge in a very personable, friendly manner. The owner Graham when aboard has an encyclopedic knowledge of all things "West Coast of Scotland." At Seaview we are delighted to organize and book this trip for our guests.Usually best to book on the morning of the trip when we can decide if the weather is suitable. 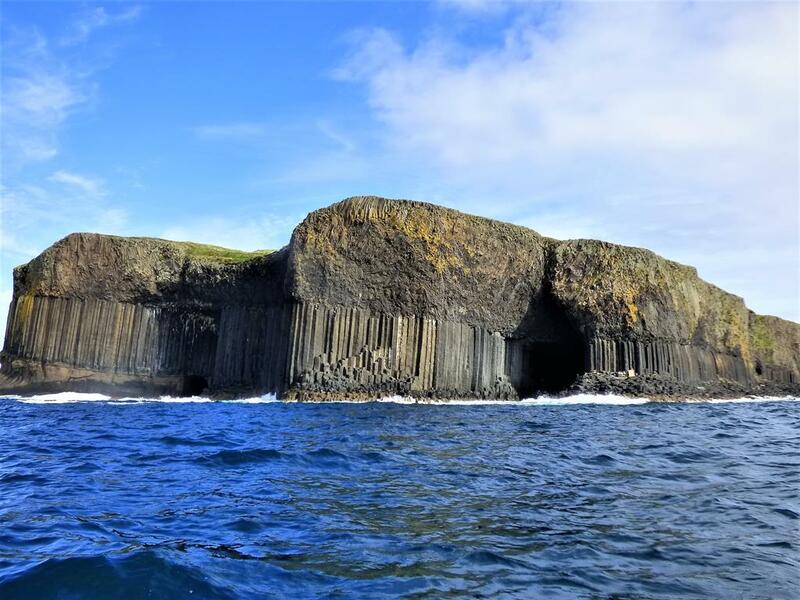 You can do a circular journey in one day, weather permitting, using the main Calmac Iona ferry either at the start or the end of your trip to Staffa and Iona from Fionnphort. 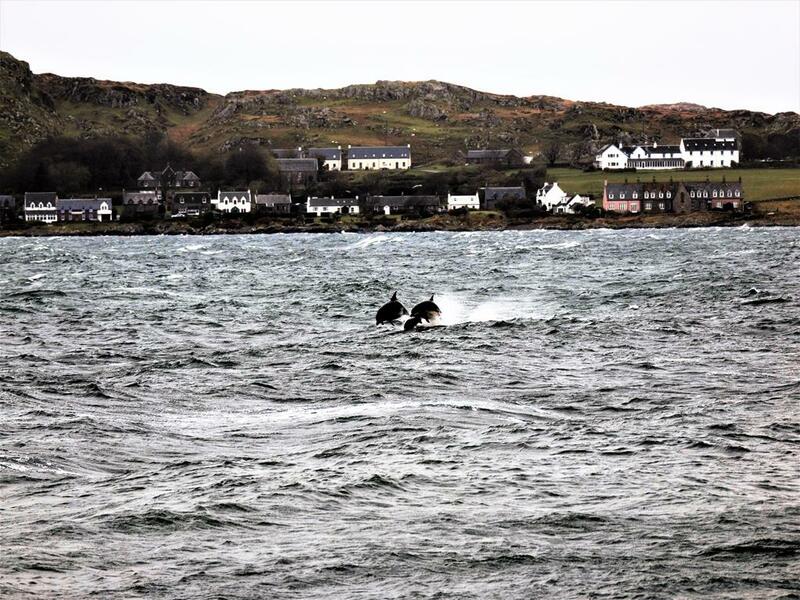 John would advise you of this when you arrive at Seaview regarding how to best use the boat-trips-and-tours to maximise your enjoyment and time on Mull and Iona. Please ask your host John to help do this for you. Your host has been happily helping to organise guests trips for years. Alternatively reserve with Staffa Trips email iolaire@staffatrips.co.uk or book online at www.staffatrips.co.uk. 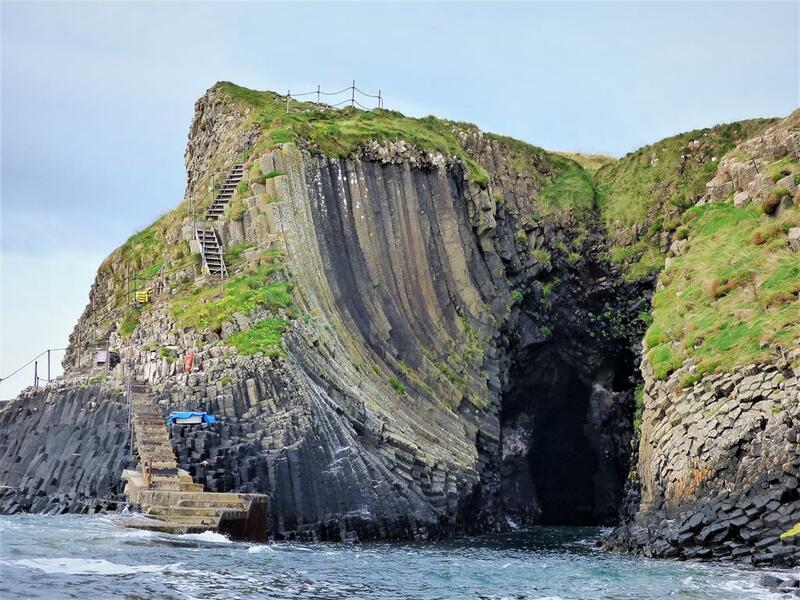 However we recommend waiting until you arrive, to allow flexibility with the weather conditions at the time, picking the best day to be at sea, and perhaps to fit in other Land Based Tours around Staffa. Extra layers of clothes,gloves,hat, good rubber grip flat shoes and sun screen are advisable extras in a rucksack! 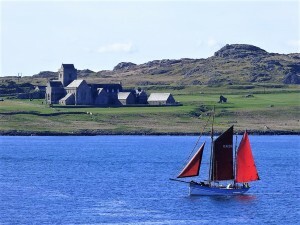 Personalized tours with skipper Mark from Iona who will share his knowledge and love of the west coast with you, as he says "Journey the World between Ocean and Coast"
Journey the world between ocean and coast with Alternative Boat Hire operating boat trips from the Isle of Iona and Fionnphort Isle of Mull. The boat Birthe Marie is a traditional wooden,ex working sailing and motor fishing boat built in 1933 in Denmark possibly working in the North Sea and the Baltic. 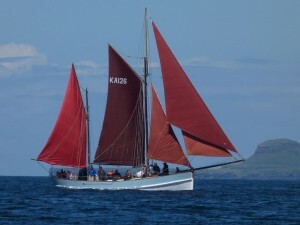 A strongly built, renovated old fashioned boat with gaff ketch rig. 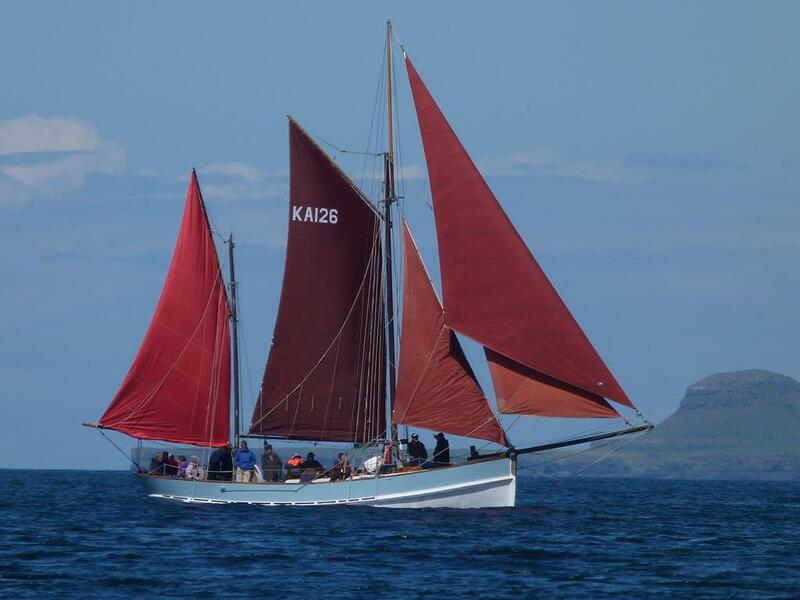 She is a solid heavy boat and takes time to build up her speed but is stable and assured in rough weather conditions. 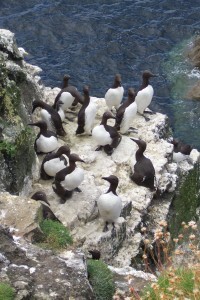 The boat-trips-and-tours can be different everyday depending on wind direction and tides and cater for novices, experienced sailors, old and young , exclusive trips or groups up to twelve accompanied by one or two experienced crew, one of them being skipper owner the enthusiastic and adventurous Mark Jardine. John can help you contact Mark on arrival at Seaview however it is recommended for this trip however because of its flexible and bespoke nature and weather changes contact Mark beforehand at www.boattripsiona.com. A wildlife land based tour operating locally around Seaview bed and breakfast on the Ross of Mull in the south west corner of the Isle of Mull. 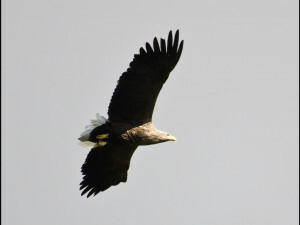 Your guide, owner Bryan Rains has over 30 years experience in wildlife watching, and although this is now his job he is a dedicated and passionate wildlife enthusiast who can often be seen out in his van keeping track of where the birds and animals are in winter in all weathers and on days he has no one booked. Bryan's comfortable mini bus can carry a maximum of 8 passengers. 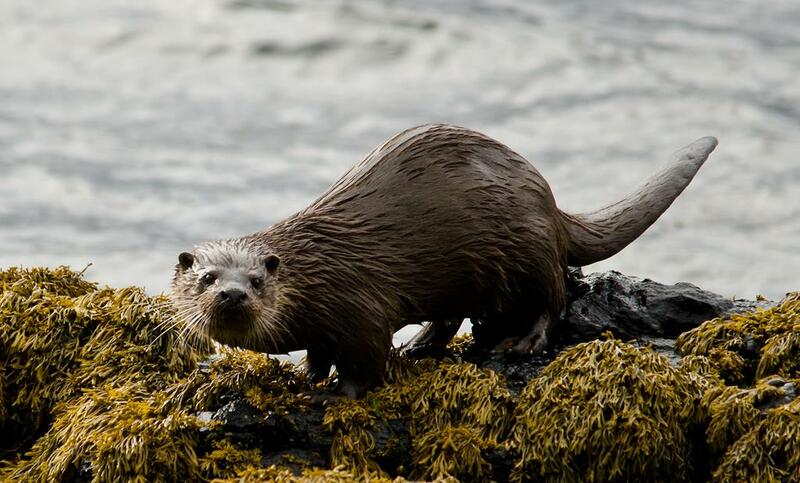 The intrepid Bryan will do the driving and spot the wildlife for you as you enjoy the rugged and scenic Ross of Mull with powder white beaches, wild flowers and a magnificent range of wildlife. 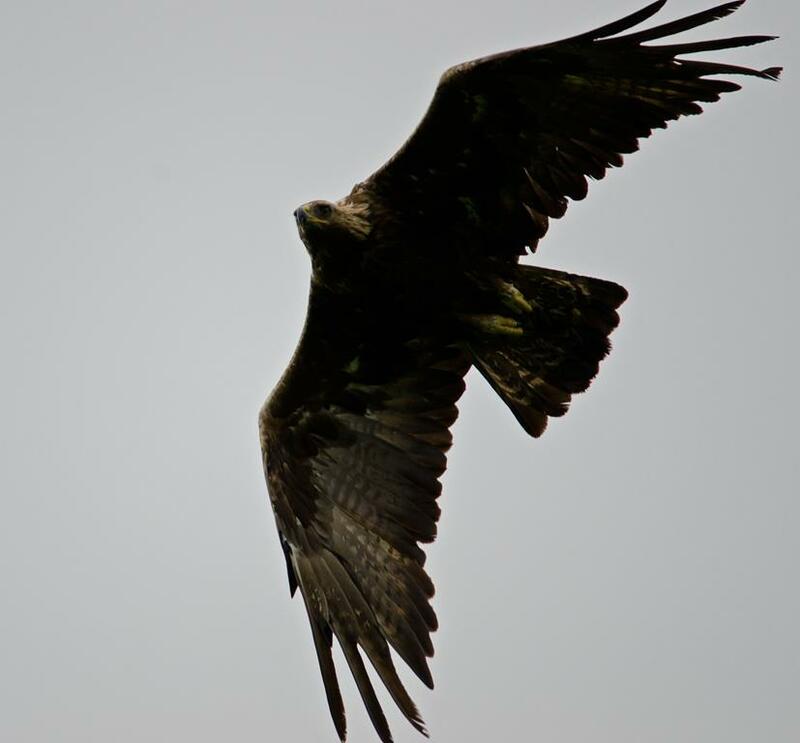 Bryan regularly spots Golden Eagle, white tailed sea eagle, otter and hen harrier, Adder, deer, Mountain Hare and various breeding waders at the appropriate time. Tours start at approximately 9 am from your accommodation and finish around 4 to 5pm. 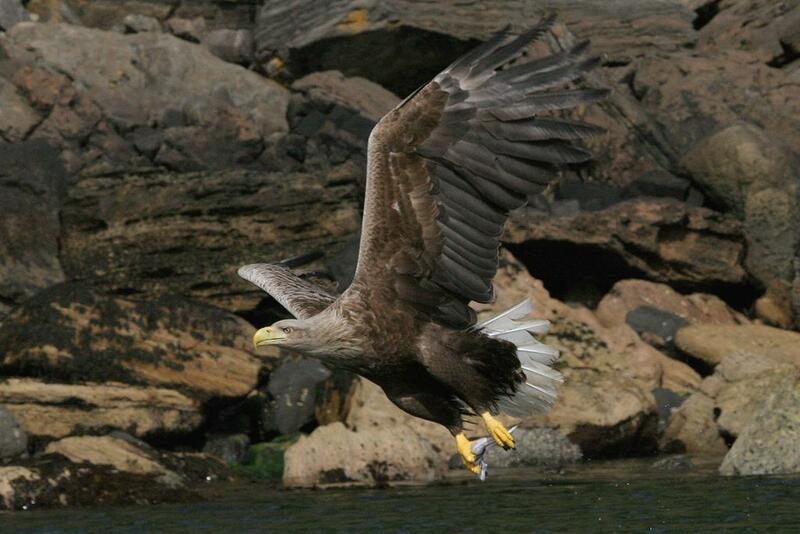 The Isle of Mull is the best place in Scotland to see the white-tailed eagle, more commonly known as the sea eagle. It is Britain’s largest bird of prey with a wing span in excess of 8 feet; its poetic Gaelic name is ‘Iolaire-suile-na grein’ which translates to ‘the eagle with the sunlit eye’. They are regularly seen in flight from public roads throughout the island. To visit the Sea Eagle Viewing Point at Craignure Golf Club, you will need to book your place which operates on a first come-first served basis of up to 20 people for a ranger led visit. 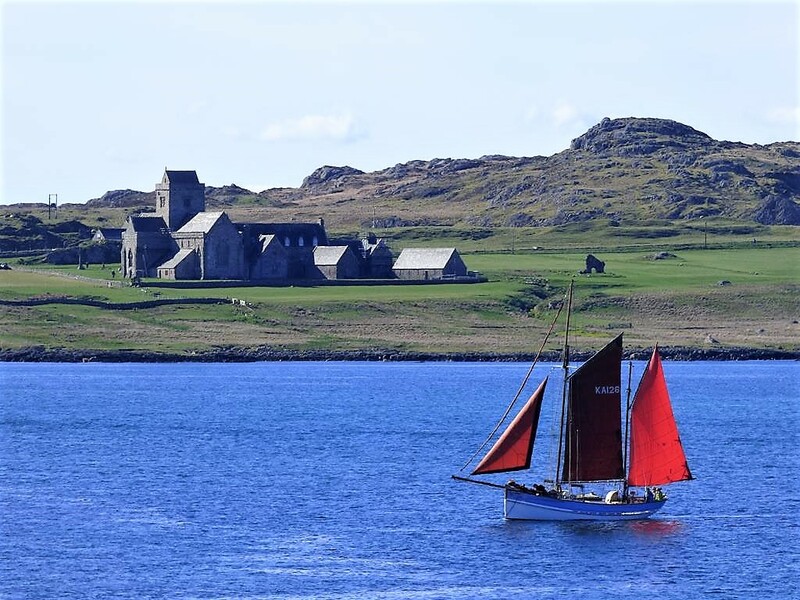 For further information and to book your place contact Craignure visitor center +44 (0)1688 812566. or ask us to make a booking in advance of your stay with us. 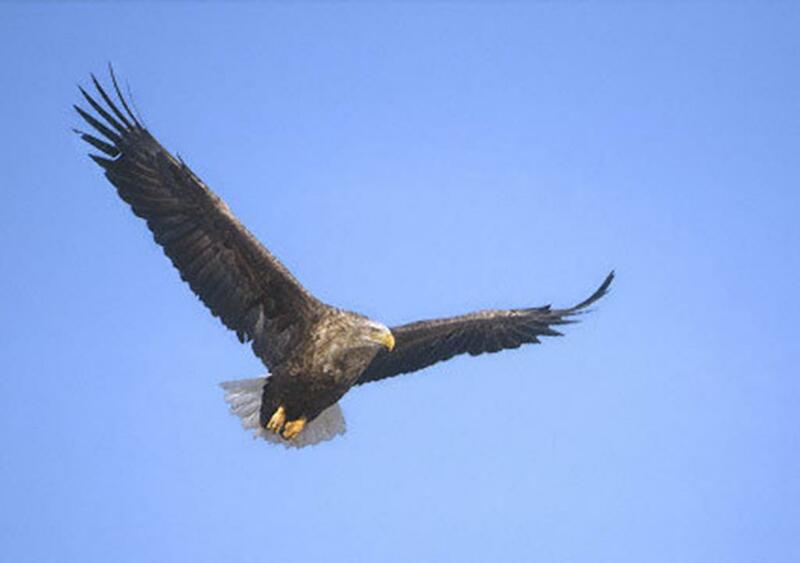 We are approximately 40 miles from the hide and on your drive from Seaview to the hide you take in magnificent scenery while keeping a look out for golden eagles, otters, owls, red deer. Great Northern Diver and hen harriers and many other species. The meeting point is sign posted with Forestry Commission signs at Craignure golf Club about a mile north of Craignure on the Craignure to Salen road. A great day out.Ranger Trips are from April to September each year Monday to Friday, 2 trips per day, lasting approximately 2 hours. You can leave early if you wish. Times 10am to 12.30pm and 1.30pm to 4pm. You can request out of hours trips for groups. 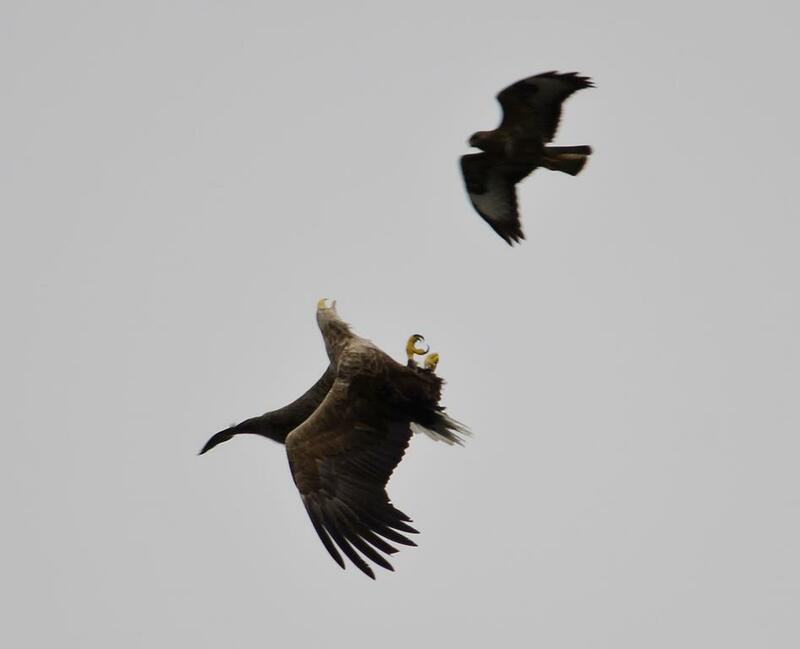 Calandar- April:Adults sitting on eggs, May-July:chicks in nest adults feeding them August:chicks fledged but flying in the area. Public transport: The west coast motor bus on the Craignure-Salen-Tobermory route will stop at The Golf Club entrance on request. You can travel by bus from Fionnphort to Craignure and pick up the other bus as they connect..